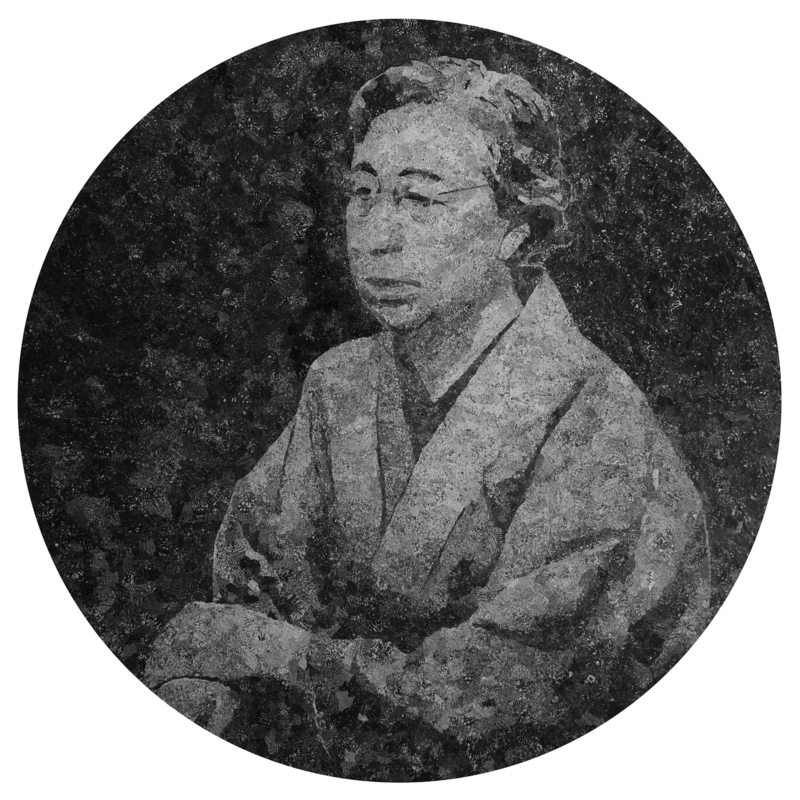 On the base of the portraits of Ichiyo Higuchi (1872-1896), Virginia Woolf (1882-1941), Raicho Hiratsuka (1886-1971) crowd photographs are collaged. This time 3authors are reviewed to look at the politic and sociable aspects involved in contemplation (introversion). Being introversive sometime seemed to be cut off from society or withdrawn into oneself. However, their attitude to explore the universal meaning of the matter in metaphor or criticizing spirit proves their sociality. It can be our emotional mainstay (Icon). These 3authors were active at the same period of from the late1800’s to 1900 and placed the foundation in the history of literature. 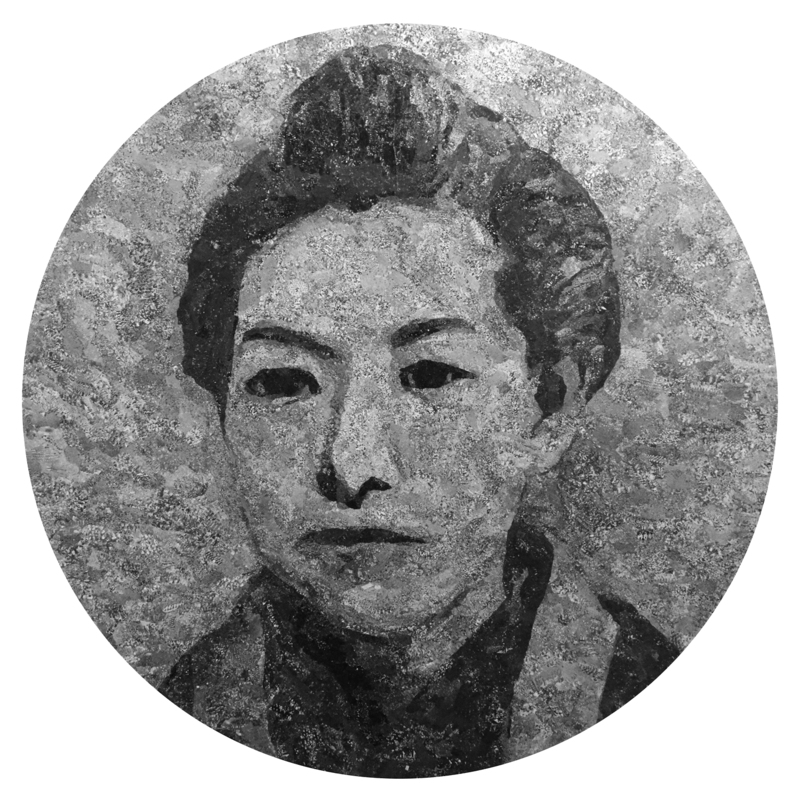 Ichiyo Higuchi died young by tuberculosis and Virginia Woolf chose self-death of suicide. Their activity as the expressionists could not be flat or well. Raicho Hiratsuka launched a magazine “Seito” (Bluestocking) in order to provide the presenting space for the woman expressionists. She was active as an opinion leader. At the same time, in the testimony from her surrounding people, we can read that she used to sharpen introversive spirit and refine thought in a quiet environment. 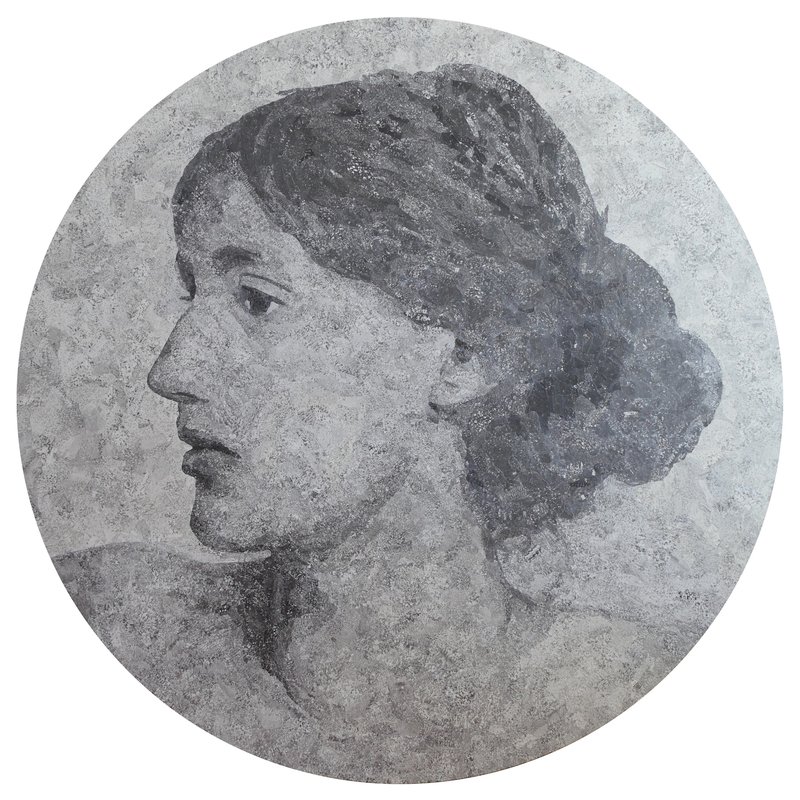 “Portrait of a Woman” series are produced as the homage to these authors who had fought in the friction with society while keeping a meditative style and developed unique activities. The collaged picture materials were photographed or collected by the author and in addition they were provided by acquaintances and collaborators from home and abroad. The pictures include crowd in various scene and countries such as in stadium, mass games, and graduation albums. By providing crowd pictures as shadow on portrait, the works express the swell of the memory of numerous people that exist behind the Icon.